Croozin' the night away at Bannerman's! Croozin’ The Loop has a long history of playing all over Chicago and surrounding suburbs dating back 30 years. The band is known for their engaging performances, energetic sound, and rich vocal harmonies. 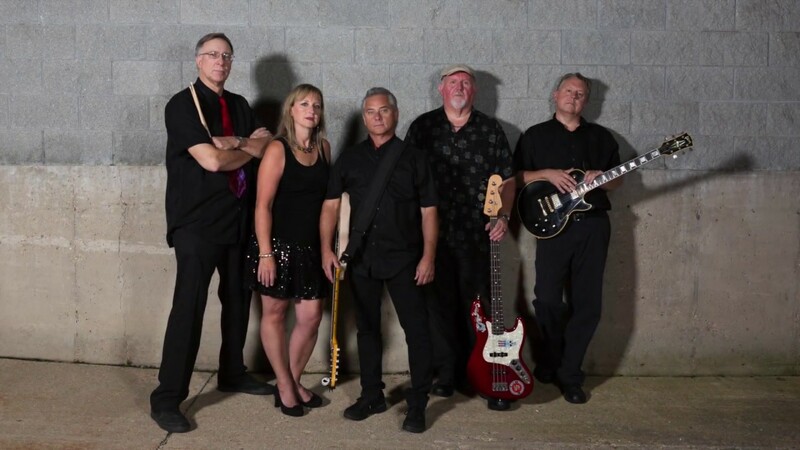 Their long and diverse song list is 100% danceable, and includes something for everyone - 1950's Rock 'n' Roll, 1960's British Invasion, Hits from the 1970's, Motown Classics, a touch of country, and pop favorites from the 80's through today. Croozin’ The Loop is the 'go-to' band for events of any size and type including nightclubs, festivals, corporate events, and private parties. Saw Croozin’ the Loop for the fourth time, and the cover band continues to impress with rockin’ sets that feature powerful drum beats, solid bass riffs laying the foundation, rhythm guitar chords, and smooth harmonies. Known for its awesome repertoire of classic hits –1950's Rock 'n' Roll, 1960's British invasion, 1970's hits, Motown classics, and favorites from the 80's through today– the band stars the keyboardist/ vocalist, the drummer, and the bass player, lead guitarist, and rhythm guitarist adding to the vocals. Their gigs, performed throughout Chicagoland, boast a huge collection of favorites that recall memories like an old friend, familiar tunes that you know all the words to, music that brightened your lives. Check this rock band’s schedule. Bring your dancing shoes. You won’t be disappointed. You, too, are sure to become one of their fans. Charles, thank you so much for the kind review! Croozin' The Loop Band played for a sunday party we had at Potato Creek Johnny's, The customers loved the band and ask to have them back. They are a excellent and very professional band and they will be back. Thank for having us! We had a great time, and look forward to coming back! This band “Croozin’ The Loop“ was perfect for our 28th Annual St Patrick’s Day Dinner Dance hosted by the Knights of Columbus-council 9893. We had numerous unsolicited comments on how good the band was, from our patrons. The dance floor was very active all night long. The music sounded really solid and like the original pieces. Thank you so much for having us out to play at your event. It's so much fun to play for a group that loves to dance! Lots of great requests, too! I hope we can do it again next year, if not sooner! Excellent Band - Great Sound! Croozin' the Loop recently played for our evening concert at Hanover Township Senior Center. They sounded amazing! The variety of songs was impressive and the crowd loved the way they interacted with them. We definitely hope to have them back for future events. If you're looking for a fun, professional band with a quality sound, Croozin' the Loop is a great choice! We had a great time playing for your event, and hope you will have back again in the future! Thank you for the nice review! We have seen Croozin’ the Loop at several local establishments; and arranged to hire the band for a summer backyard party at our house. It was a rousing success, with our guests dancing and singing along the entire time. The vocals, guitar, bass, percussion and keyboard were all amazing. The band even brought lighting; and the music and lights created an incredible ambiance that our guests are still talking about. We would definitely recommend Croozin’ the Loop for any private party; or an enjoyable evening wherever they are playing. We're so glad you and your guests enjoyed the band! We had a great time as well - thank you for having us, and thanks for the nice review! A talented group of individuals performing rock ‘n’ roll dance hits! Upbeat and enjoyable, highly recommended if you want to keep your crowd completely entertained and dancing through the night! Saw this band at Fitz's Spare Keys in Elmhurst last weekend - we danced all night! I could have danced all night listening to Cruizin' the Loop!! They played for my “Birthday Party for 2” celebration with JoAnne McMahon - vocalist and keyboard player in the band - just last week. It was an absolutely amazing and fun dance party…everyone was on the dance floor all night grooving to all our favorite dance tunes. Not only are Al, Ken, Rich, Tommy and Joanne fantastic musicians, but they are also incredibly nice people who clearly enjoy playing with each other making it a totally feel good experience. I can’t recommend them highly enough and hopefully they will come back for a repeat performance next year!! Thanks so much Carol, it was our pleasure! We had a blast playing for your party - so much fun to play when everyone is up and dancing! Croozin’ The Loop plays events of any size and type including nightclubs, festivals, corporate events, and private parties. We will work with you to accommodate any special needs or requests.